There seems to be a strange eerie calm around the RPG space right now. It’s not necessarily the sort of calm that makes you feel calm … its more the oppressive lull before the thunder booms and the lightning strikes in a sudden summer storm. For example, as I mentioned earlier this week, Wizards announced the demise of their oft-delayed VTT project … and there didn’t seem to be the damnation bursting forth from blogland that you might have expected. This may be because lots of bloggers are off on their summer hols … or it might be that it was something most people were expecting … with 5E in the pipeline in the next 12-18 months, pushing forward with a 4E content-integrated virtual table seemed unlikely maybe? So is anything else cooking? Not much on in the 4E space from Wizards at the moment, although the Menzoberranzan setting looks interesting in August. However, IMO the most vibrant publisher around at the moment is Open Design. Wolfgang Baur and the Kobold team have a swathe of projects going on at the moment, most related to the Midgard Setting, which comes out in the autumn. I’m a patron (via Kickstarter) on many of these, and although I haven’t really been involved in the projects beyond opening my wallet, I’m really looking forward to these coming to fruition. 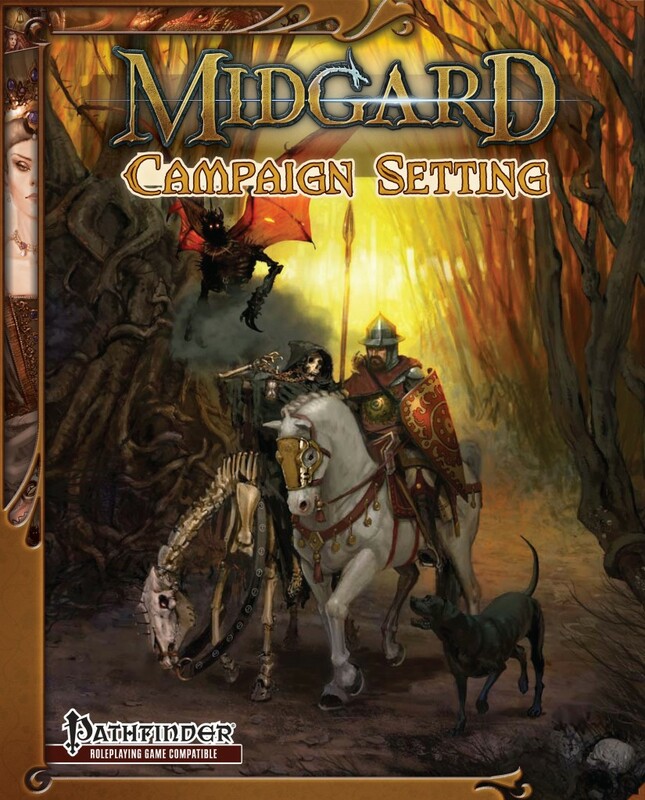 Midgard looks to be brimming full of great ideas to fleece for my Tolrendor campaigns! 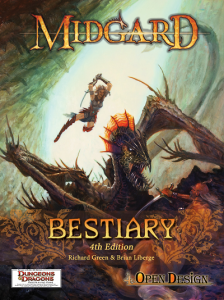 Unfortunately (for me), most of them are being published for the Pathfinder rules, with one great exception – funding has just been achieved for releasing the Midgard Bestiary for 4E! Yay! The project achieved its funding goal several times over, so there’s lots of extra goodies included. It looks like being a great example of 4E content outside the Wizards’ world! 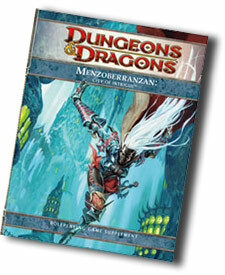 This entry was posted in 4E D&D, Columns, DnD Next, Monsters, Wizards Watch, World Building. Bookmark the permalink.